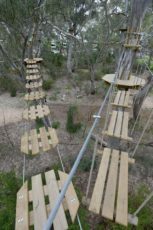 Our 7 courses allow thrill-seekers of all ages and abilities to safely swing, leap, climb and fly through the tree tops. 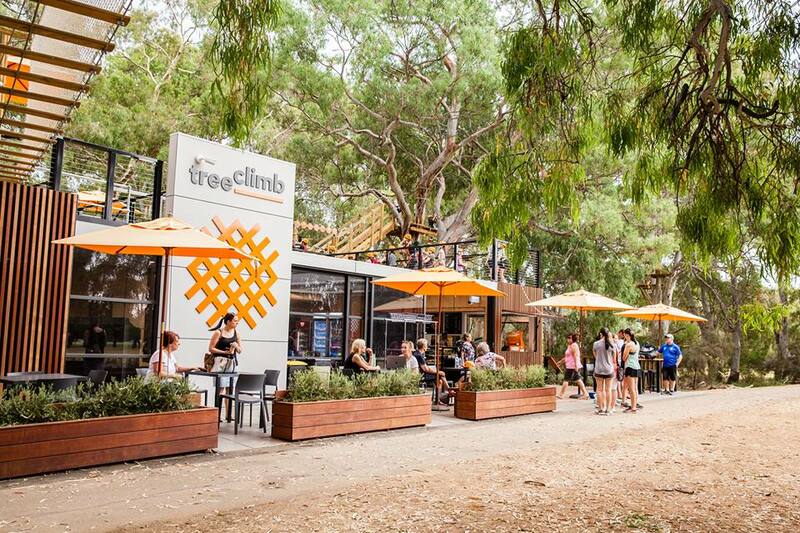 Located at the corner of Greenhill and Unley Roads, adjacent the recently upgraded BMX track, TreeClimb offers 7 elevated tree top courses, including zip lines all set within Kurrangga Park in the Adelaide City Park Lands setting. 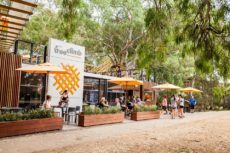 Additional to the many adventure elements, an education trail has been integrated into the tree tops in association with the City of Adelaide and the Adelaide Park Lands Authority, giving all users a unique chance to learn about the history of Adelaide and the surrounding park lands. 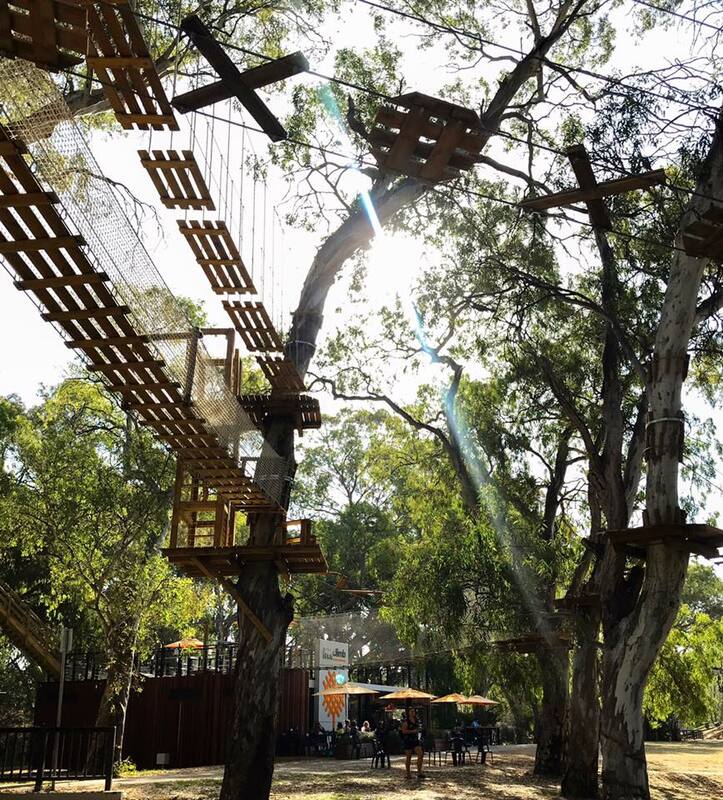 4 progressively challenging obstacle courses set in the tree tops, featuring zip-lines and an exhilarating Tarzan swing, flying carpet and trapeze. Our Grand Course consists of 47 challenges and is designed for thrill seekers and active adventurers of all abilities. 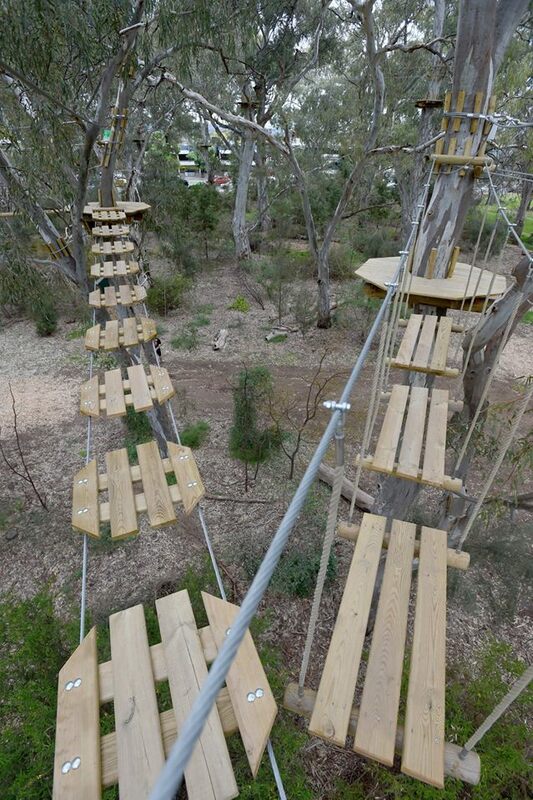 Divided into 4 different levels of difficulty, each aerial or tree top path offers a fun and interactive set of challenges for every individual. Start with the Green course after passing the practice course, progress to the Blue, Red and then challenge yourself on the Black course. Our 3 children’s courses have 24 tree top activities, allowing climbers to progressively complete the Yellow course, then Orange and challenge themselves on the Blue course. Our crew are there to offer training and guidance, however at times there is nothing better than parental support and encouragement from the ground. Children 14 years or under must be supervised by a parent or caregiver.